Music has a big impact on our mood. It can change and amplify emotions. This is where kibun enters the stage. kibun is an input device for mood-based music playback. 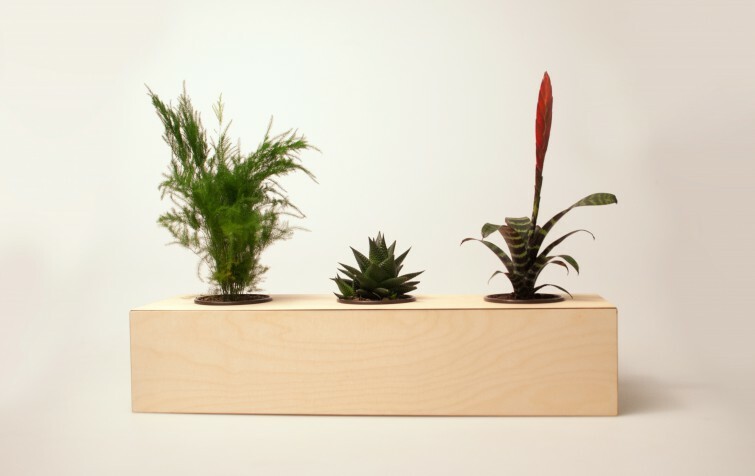 Three plants represent three different moods, each one of which is connected to a corresponding playlist on stereomood.com: Relax, Digital and Energetic. Touching one of the plants starts the connected stereomood playlist. 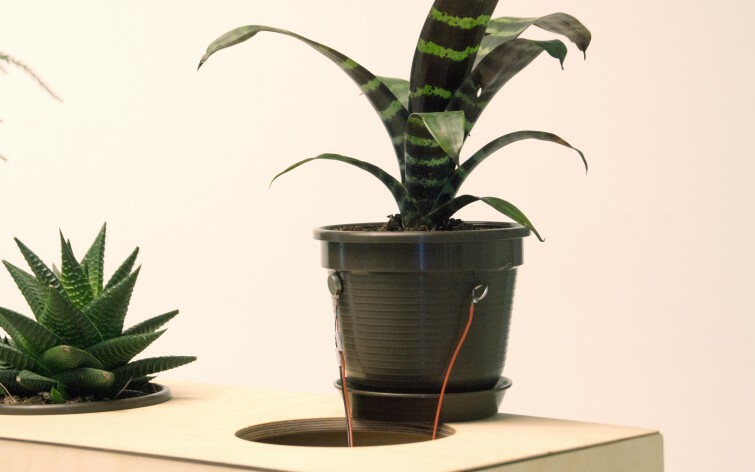 Through vibration the user gets a touch feedback from the plant. Tapping the plant 3 times in a row stops the music playback. 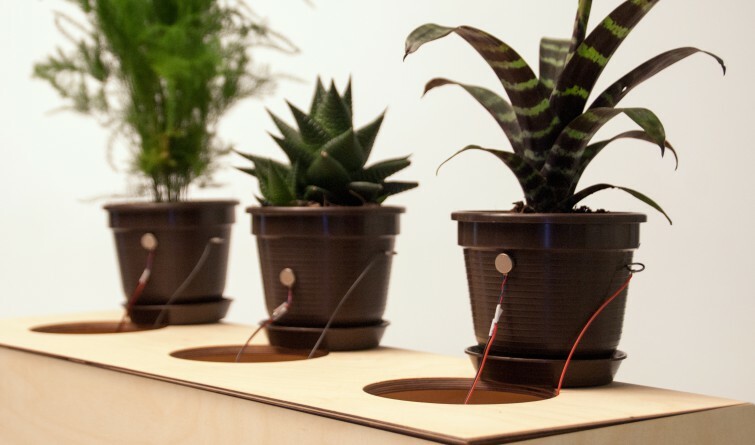 The technology of capacitive touch sensing is responsible for the plant touch detection: a very low electrical current is applied to each plant. 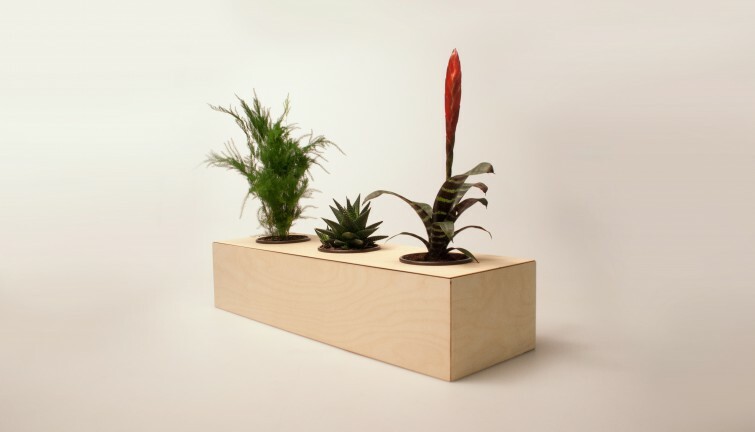 The capacity of this current changes when a plant is being touched. 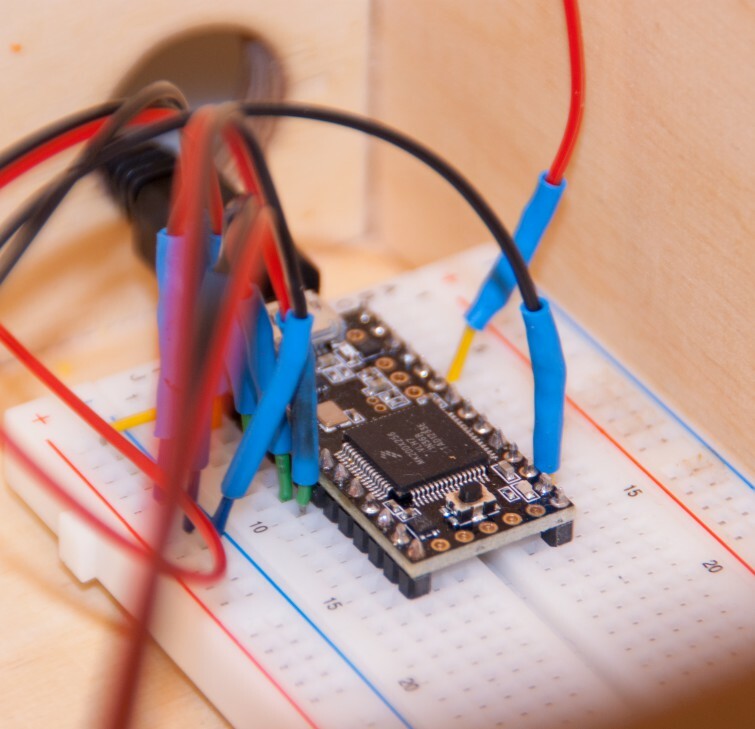 A microcontroller reads those changes and converts them into touch commands. kibun also has a built-in interface to communicate with other devices connected to the same network. For that purpose a mood markup language (mml) has been specifically designed. So, if a plant is “activated” kibun sends out a corresponding mml mood message into the network which can be read by other devices. Example scenario: You want to get into a relaxed mood so you turn on the associated playlist on kibun. With the starting music playback the light situation in your room changes accordingly, too.